Today Is the First Day Of… Me Made May and #minimemademay too! Last May my littlest baby Neve was oh so new, and after feeding, nappy changes and loads of sleep my one work task of the day was to take a photo of her in her extensive knit wardrobe! Thus our Instagram feed was overloaded with adorable baby knits (have a browse here and here). Well, May is here and we’re excited to do it all over again! Join along with us on your favourite social spot, using the hashtag #minimemademay for the minis or #memademay for you! Bodhi rocking a prototype of a sweater we have been working on! Alexa and I have been working on a bundle of new knits for the little ones and some for ourselves too! We’re very excited to share all of the things with you this month! Last week we talked all about spring cleaning your knits, organizing your stash, and how to stash in similar yarn bases for easy combinations. Now our woollies are in great shape for wearing and sharing, and our most beloved stash is crying out to be knit! 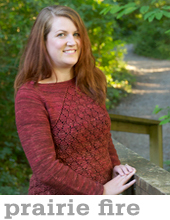 Elizabeth Zimmermann has long been a knit design idol of mine, with her straightforward, seamless and eminently knit-able designs. 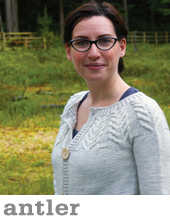 And I have had the Baby Surprise Jacket on my list since I discovered it…when I first started knitting! But, I must be honest, I’ve held back for years and years because I looked at the photos and I didn’t get it. Finally, this year I let go, put my trust in EZ, and just cast on and *gasp* followed the instructions. JOY. That’s all I really need to say; this was a joyous process and one of my favourite knit items of all time now that it’s done. Of course! 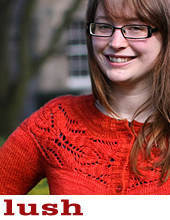 It’s a surprise… the genius of this construction didn’t become obvious to me until I’d nearly finished knitting it! I wasn’t really sure what size it would come out, but I knew I wanted to knit using these two lovely yarns from my stash, and 4.0mm needles would do the trick. I decided that I’d just cast on and go for it, and not worry too much about the size, because if it didn’t fit Neve there would surely be another baby along soon who it would be perfect for! As luck would have it, it came out just the perfect size for her, especially for springtime, when a shorter-sleeved cardi is warm enough. One of the things that really ‘made’ this knit for me was the yarn. I striped Shilasdair Luxury DK in ‘fleece cloud’ with Noro Kibou in ’22’. I absolutely LOVE this Noro yarn, it’s such a subtle, tweedy and classy self-striping bundle of joy, and the halo of the angora in the Shilasdair yarn makes for a soft and cuddly fabric. Because I wanted a nice MC line around the neckline, rather than the raw edge of the garter stitch, I left the button band and hem stitches on the needles, and worked the shoulder seams first. I used a single-crochet seam at the shoulders for a crisp raised detail. With wrong sides together, and the front of the jumper facing, insert the hook through both layers, draw through a loop of MC yarn from the WS, then *insert hook again through both layers, draw another loop through to the RS, then yarn over and draw this third loop through the previous 2, leaving a single loop on the hook. Repeat from * until the seam is complete from cuff to neckline. Then I did the same working from neckline to cuff down the other side, so that the seam was still worked with the front of the sweater facing. After the shoulder seams were complete, I finished the neckline by picking up and knitting stitches (with RS facing) along the right side of the neckline, the back neck, then the left side of the neckline. Then I turned the work (WS facing) and knit one final row. Lastly I bound off all stitches. This created a lovely consistent MC finish at all edges of the work. Choosing buttons was another joyful part of the process! Purple-blue mother-of-purl won the day. Before I knit my BSJ, I did some VERY EXTENSIVE surfing on Ravelry, and these were my favourite versions of the design, for your surfing pleasure! I’m hoping to make another soon, perhaps with some handspun? Is the sweater Bodhi’s wearing a pattern yet?? I love it! So soon! Keep your eyes peeled in July…. I’ve knitted several of these and like you, just didn’t ‘get it’. Also like you, for the first one, I decided to follow the pattern exactly to see where it went. It wasn’t until I had almost finished it and after dropping it, that the lights came on – it fell and folded itself and ‘voila’ there was this perfect little jacket! Well worth having a go! BSJ is really a revelation, isn’t it? I’ve done one and it only whetted my appetite for more. Love it, that little one is so sweet and could not look more adorable in that BSJ!! Perfect timing! Just bought a hank of spring-colored yarn for knitting my first BSJ for little niece Molly.